Lottery punters in Western Australia have delivered a record of almost $260 million to local charities. Lotterywest, which conducts lotteries on behalf of the State Government, has delivered a record total of $258.3 million this financial year to support the Western Australian community, according to WA Premier Colin Barnett. 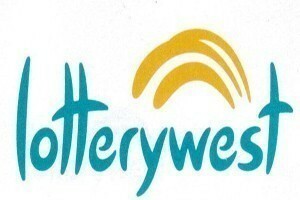 As a result of the record lottery sales, Lotterywest direct grants totalling $117.8 million were given to 1,333 community and charitable organisations, while a further $140.5 million of statutory grants were given to hospitals, sports and recreation and the arts. “WA has the only lottery in Australia and possibly the world which is owned by the State Government. The funds raised are directly distributed to community organisations to help our State,” Premier Barnett said. The Premier said he had seen first hand in the past year some of the impressive work by local community groups supported by the State Government through Lotterywest grants. From every dollar West Australians spend on Lotterywest games each week, 34 cents is returned to benefit the community. Some 97 State players won Division One lottery prizes worth more than $120 million in 2011-12.